Where to Buy Plug Fast Fertilizer, Plug Fast 12-12-6 with Iron Sealer Bag - 5 Lbs - $11.75 for Sale with Fast Free Shipping! 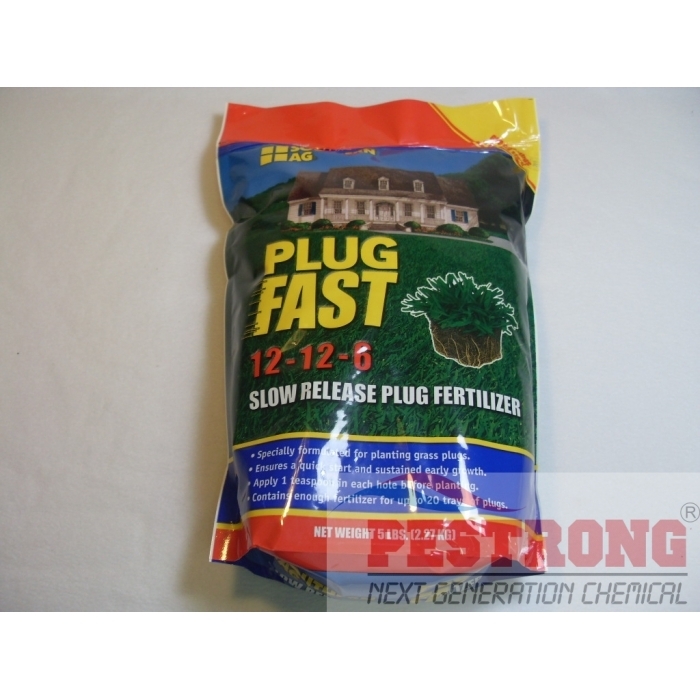 Plug Fast 12-12-6 with Iron Sealer Bag - 5 Lbs is a balanced plugging fertilizer that contains slow release nitrogen. CONTAINS: 12% Nitrogen(5.6% Nitrogen is slow release), 12% Phosphorus (P2O5), 6% Potash (K20), Iron 1%. USE: Formulated for planting lawns by plugging. RATE: 1 tsp. per each plug planted. APPLICATION: Sprinkle in plug hole under plug as planted. Easy to use: simply place some of this in a spot in need of plugging and then place the plug over it and done! It's great for helping a grass plug catch up to its surrounding grass in color, length, etc.